A Wedding is one of life’s great moments, a time of solemn commitment as well as great joy. Marriage continues to enrich society and strengthen community. On their wedding day the bride and groom face each other, make their promises and receive God’s blessing for their new life together. 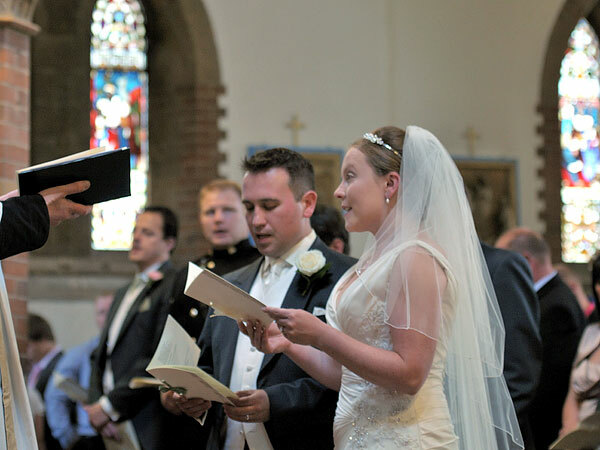 Weddings are an important part of the life of the Uxbridge Parish and one of the varied ways in which we try to serve God and the community. 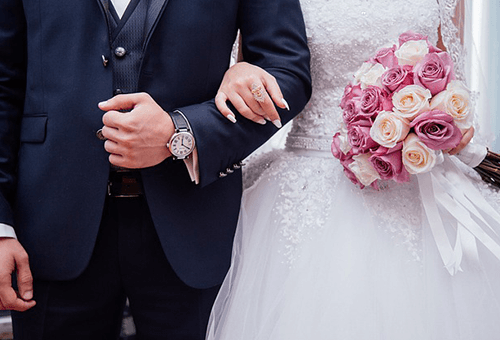 Click on the link bellow to take you to the yourchurchwedding website where you can discover all you need to know about Church of England weddings and blessings. Marrying in church is personal, meaningful, spiritual and beautiful, just as you want it to be. If you would like to discuss how to arrange your wedding here at St. Andrew’s Church please email Lesley Tasker, our parish administrator, who will forward your details to one of the clergy. Alternatively, you can telephone the parish office on 01895 258766. Someone will then make contact with you. It is normal to have two hymns at a wedding and it is always wise to choose hymns that are known to your family and guests. If you would like to come in to or go out to music other than the traditional wedding marches please ask the priest when we meet to fill in the Banns form. If you ask for music that the Organist does not possess you will have to purchase it and ensure that he receives it well in advance. No soloist, outside choirs or organists may be asked to take part in the service without the permission of the Priest. The Organist’s fee is payable even if other organists or musicians are used. All music played or sung at a wedding must be of a type consistent with the sacredness of the service and no recorded music is allowed during a wedding. We have a good choir and a strong band of bell ringers. If you would like them to take part in the service please ask when we get together to fill in the Banns form. It is important to note that as with all who help in Church, the individuals in these groups are volunteers so they can be requested but not guaranteed. Please check the wording and the hymns with the Priest before giving your approval for the printer’s draft. Printers sometimes download hymns with different words and verse numbers than those we use in church. Flowers are expensive so if there is more than one wedding that day it makes good sense for the couples concerned to club together. Please talk through the details regarding flowers when we get together to fill in the Banns form. Unless otherwise arranged the flowers remain in church after the wedding. So as not to detract from the holiness of the sacrament, no still photography is allowed during the service. The official photographer will be allowed to take photographs as the couple arrive at the altar, at the signing of the Registers and as the couple process out of Church. One video recording of the service will be permitted by the Vicar provided that it in no way detracts from the service. The person making the recording must remain in the assigned places and have signed the Copyright indemnity form given when we meet to fill in the Banns form. When a video is made of the service the Choir and organist are entitled to a higher fee. It goes without saying that all Dresses and apparel should be seemly and consistent with the sacredness of the service. Members of H.M. forces and other uniformed bodies may wear their Dress Uniform for the Wedding. Caps and Service hats will not be worn by the Bride or men whilst in church. Likewise swords and bayonets etc will not be worn in Church but left with the verger at the back of Church. A date for the rehearsal (usually during the week of the Wedding) will be fixed when you come to fill in the Banns form with us. For the rehearsal we need – the Couple, the person giving the bride away, the Best man and the Bridesmaids and anyone else who will have an ‘up front’ part in the service. It is helpful but by no means essential if parents can be there as well so as to rehearse the final procession.